Flu shots are now available at the University Health Center! More details below. Flu shots are FREE for students! Make an appointment at the University Health Center by calling 402.472.5000. Unless your department has prearranged payment for your flu shot, faculty and staff must schedule an appointment at the health center to receive a flu shot and are not eligible to attend walk-in flu shot clinics.These appointments are limited and may require a short wait. If a faculty or staff member whose department has paid for their flu shot cannot attend the special department-paid walk-in clinic on Oct. 3, they are eligible to attend any of the student walk-in flu shot clinics listed above. At this time, we are not offering the high dose (65+) flu vaccine. What flu shot are you giving for the 2018-19 year? We will be giving FLUARIX Quadrivalent flu shots, which protect against four different flu viruses. 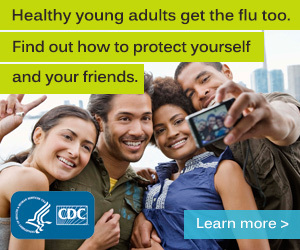 The annual influenza vaccine is the best way to protect yourself against the disease. While getting vaccinated doesn't guarantee that you won't get the flu, if you do, it will likely be less severe. I got the flu shot last year, why do I have to get it again? You should get vaccinated yearly, because the virus changes very rapidly and immunity from the previous year's vaccine declines throughout the year. Even if you got a flu shot last year, you should still get another one this year. Getting your yearly influenza immunization will likely decrease your chance of severe complications from influenza, including hospitalization and death. Approximately 10 to 15 percent of people who get the flu experience secondary infections such as bronchitis, sinusitis or otitis. 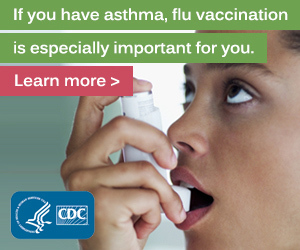 Preventing influenza also prevents these secondary problems associated with the flu. The Centers for Disease Control (CDC) estimates that more than 700,000 people were hospitalized last year for influenza-related illnesses. I don't get sick often so why should I get the flu shot? When you get your yearly influenza vaccination, you are not only protecting yourself, but also protecting the people you love and people in your community who are at higher risk for serious complications. Babies, elderly and people with weakened immune systems are at greater risk for complications from influenza, including pneumonia and death.